With November about to start I really begin feeling a bit homesick for the days of growing up in the Northeast. The changing leaves, hot apple cider, and tables set with sweet potatoes, squash and cranberries. It is really a time for warm rich colors such as burnt umber, crimson and gold. Fashion loves to follow suit as fabrics get heavier and highly textural. The gemstone world offers us the perfect compliment, Tigers Eye. quartz stones is that its not a transparent stone. It composed of fibrous strands of silica. When cut these stones are cut well they display a chatoyancy effect that gives it its “eye”. Since it is reasonably available it can be cut and carved into larger sizes without worry about price though the finest quality can fetch hundreds of dollars per carat. Many designers have really jumped on the tigers eye trend. At the forefront is Roberto Coin. He in fact has produced an entire collection featuring tigers eye called “Claire de Lune” . This collection features a very large cut piece of tigers eye carved in a curved shape with diamonds around it set in a wide band of gold. The piece is truly beautiful. This collection is available and a large discount at Raymond Lee Jewelers. If you have any questions feel free to stop by and ask me or one of my friendly collegues at Raymond Lee Jewelers.- until next time this is Richard your South Florida Jewelry Guru. With the holidays fast approaching, you may be thinking about what to do about gifts for your loved ones. Times are tough right now and a brand new piece of jewelry might not be in the cards right now. However that doesn’t mean that your significant other couldn’t enjoy a piece that was redesigned from items he/she is no longer using. What we can do is take your pieces and evaluate them to see what we can reuse and create something fresh and exciting. The first step would be to have you come in and show us what you would like to get rid of. 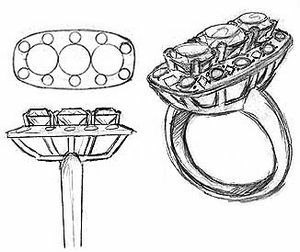 Next we would look at all of the stones and determine what we would like to reuse and use that as a jumping off point for your new design. We will then proceed to get a few rough ideas as to what you want your new piece to look like. Once we are happy with the direction we are heading we would then dismantle ever so carefully your old pieces so that we are able to get exact measurements of your stones. Our designers will work with these specifications to create for you a 3 dimentional virtual rendering so that you can get the most accurate idea short of being the real thing. At that point we are able to make a few small changes before the final piece is cast. Once the casting is complete our jewelers will work to fine polish the metal and set your stones. What about the old gold your stones were in? We take that gold and we measure the amount of metal that was in your old piece and buy it back from you and apply the amount towards your new custom design giving you the value of the gold to put towards your new piece. 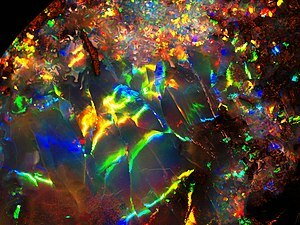 Come on in to see me, Richard your South Florida Jewelry Guru to find out what is possible to do with your old jewelry and what exciting things we can do with it. To make an appointment call me at 561-750-7808 or email me at richard@webuybigdiamonds.com. With a few simple steps we are able to provide you with a unique one of a kind piece of jewelry that he/she will treasure forever….or at least until you are ready to re-design it again. —-Call today to have something done in time for the holidays! John Hardy Jewelry Company was founded in 1989 by Canadian designer John Hardy. Known for bringing southeast Asian designs and ancient jewelry techniques to the western market. John Hardy traveled to Bali and worked with local artisans to create extraordinary design concepts with traditional Balinese techniques. This infusion of Asian artistry into quality jewelry allowed John Hardy to have explosive growth here and abroad. While many jewelery companies claim to work with foreign jewelry designers, John Hardy has taken it a step further and actually has design studios in Bali, Indonesia. Many of there pieces are made by hand in Bali and have designs reflecting the natural surroundings of where they are created. For example the new Kali Line is named from the Balinese word for river and has many smooth designs that reflect the river stones that are common in Balinese rivers. 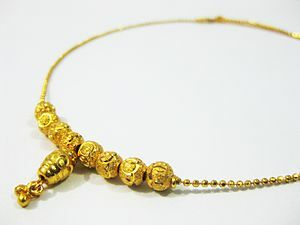 There are four traditional Balinese jewelry-making techniques that John Hardy uses: rantai (woven chain), tenun (woven mesh) jawan (granulation) and ukiran (cut work). If you click on the picture above you will be directed to beautiful example of a John Hardy gents rantai bracelet that is also for sale! Rantai is often used for bracelets and necklaces that are woven in a process that tends to take several days. After these pieces are woven, heat and hammering are used to shape the pieces. Signature clasps or gemstones are added to the pieces to create a finished work of art. Newer pieces incorporate tenun, a technique that weaves silver into a fine mesh or a complex chain and then uses jawan to flatten the metal. We here at Raymond Lee Jewelers strive to find the most exceptional John Hardy pieces and offer them to you at the lowest prices. We buy sell jewelry. The cable bangle is one of our most popular items that we sell. Designed by David Yurman and his wife Sybil, this unique design has brought David Yurman to the forefront of the Jewelery industry. The cable bangle consists of a twisted helix adorned with gemstones at its ends. Inspired by the ancient Celtic torc which was simply twisted wire neck ring that ends in terminators or caps at the end of the bracelet. David Yurman was born in Long Island and first started selling his sculptures while in high school. As he grew older and more experienced he began to work closely with renowned sculptors Jacques Lipshitz and even collaborated with Picasso. The first steps in the creation of the cable bangle started in California. One of David Yurman’s creations worn by his wife was spotted by a prominent gallery owner and asked if it was for sale. Soon David and Sybil moved to the countryside and began to lay the groundwork for the founding of David Yurman, the brand and company, in 1980. The cable bangle was introduced in the mid-1980s, and became an icon and David Yurman’s signature style. The design for this item was worked on heavily by Sybil Yurman who used her classical training as a painter to select and pair the different colored gemstones for use in the terminators. Recent bangles have been using semi-precious gemstones like Citrine and Tahitian pearls. We sell many David Yurman pieces and do jewelry appraisal. The Clous bracelet is one of Louis Vuittons signatures items from the Emprise collection. This collection was introduced in 2004 and was Louis Vuittons first foray into the jewelry market. Consisting mainly of gold and diamonds, Louis Vuitton strived to combine innovation, luxury and sensuality to create pieces that would resonate with consumers. Marc Jacobs, Louis Vuittons head designer, faced the daunting challenge of creating a new product line that was both modern and true to more than 150 years of design tradition. The Emprise collection and the Clous bracelet more than succeeded in this regard. The Clous bracelet is beautifully made; radiating a simple elegance. You can find this bracelet in yellow, white and even rose gold. Each bracelet is crafted with a small clasp on the outer circumference that can be opened for easy removal of the bracelet. This differentiates the Clous from the similar Cartier Love bracelet which needs a screw to remove. Making the Clous a great option if you intend to wear a bracelet everyday. Often wearers will layer multiple Clous bracelets of different sizes on the wrist, creating a impossibly chic look. Here at Raymond Lee Jewelers we have many Clous bracelets for sale at an affordable price, Florida jewelry Click on the picture above to be sent to one of our items. We repair gold & more! You may know that Raymond Lee Jewelers is one of South Florida’s top sales and service center for diamonds, jewelry and watches. What you may not know is that Raymond Lee Jewelers has been providing South Florida with consistently quality repair services for all types of jewelry, jewelry repair. We have over 26 years of experience and no piece of jewelry is too complex or delicate to be repaired. Our highly experienced and skilled jewelry repair specialist treat every piece as if it was one of their own. How can we consistently provide such exceptional repair service? By utilizing our secret weapon, the Laserstar iWeld 990 Series Laser System. Here at Raymond Lee we spare no expense in the continual quest of providing you with top notch repair service. That is why we use the iWeld 990: it is top of the line, has the highest peak power in its class, has pin-point laser accuracy and integrated pulse profiling for optimized welds. In layman’s terms that means cheaper and faster repair service for you! The iWeld 990 works by using a sharp, focused light beam (laser) that melts a very small area of metal. This laser is so highly focused that it allows us to make welds only .5 to 1.o mm away from precious gems and complicated parts without any damage. The iWeld 990 uses a “free moving” laser, that rids the need of cumbersome and intrusive fixturing devices. Our repair specialist manipulates this laser with their hands while viewing the piece of jewelry through the state-of-the-art Leica binocular stereo-microscope, that has internal cross-hairs and 15x magnification. We can repair and modify silver, gold, platinum and even titanium alloys. We can assemble complex, multi-colored jewelry pieces, re-tip prongs, refill casting porosity (the sponge like appearance casting metals acquire overtime), re-size ring shanks, repair eyeglasses, assemble diamond tennis bracelets, repair stone settings and much more. No piece of jewelry is too small or too large to be repaired. So find those broken pieces of jewelry laying at the bottom of your purse or hidden in a drawer and bring them in to Raymond Lee Jewelers.